Livestax puts everything you need in one beautiful interface. Livestax makes creating web services for your staff, customers and supply chain really easy. Seamlessly join up data and provide mobile services without having to change your underlying systems. Rather than laboriously compiling data from several disparate systems, access everything you need in one single view. Use Livestax to connect all your existing systems. 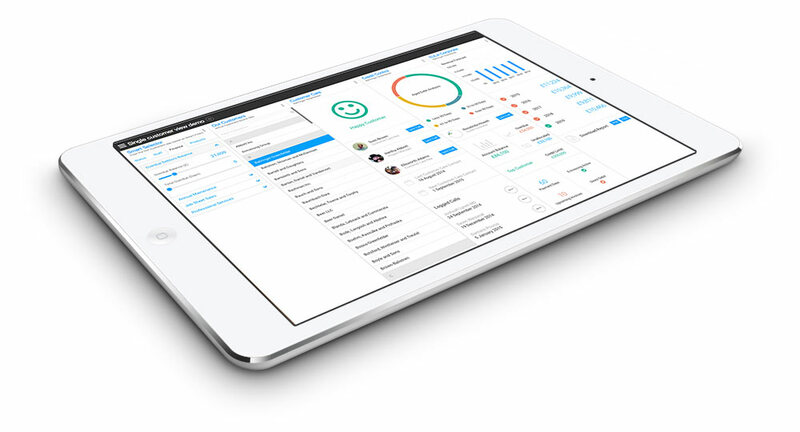 Give them a breath of fresh air through a unified interface built specifically to get things done—quickly, and right. Cut out the collection, collation and presentation stages for all your management data. No need for summary Powerpoint or Excel docs—Livestax can read data from anywhere and present it beautifully. Spend your time considering the data rather than preparing it. Livestax apps are built to do one thing well, and by chaining many small apps together you can create powerful workflows to solve the most difficult problems. Livestax apps are quick and easy to prototype, design and build. You can add, combine and remove apps depending on what you need to get done, creating a truly flexible workflow. We have developed several resources to help developers build apps for Livestax, ranging from API- and development documentation to design components, theme and example code. Livestax is your next generation customer portal. Fast. Professional. Secure. Give customers access to the data they need without compromising security. What’s more, Livestax makes creating a market-leading experience really fast.